The state and local police reports, published Thursday night by the Houston Chronicle and San Antonio Express-News, say that O’Rourke was involved in a drunken driving episode 20 years ago in which he crashed into another vehicle and sought to flee. U.S. Rep. Beto O’Rourke, D-El Paso, who is mounting a spirited bid to unseat U.S. Sen. Ted Cruz, R-Texas, was involved in a drunken driving episode 20 years ago in which he crashed into another vehicle and sought to flee, according to police reports from the time. Though O’Rourke’s DWI arrest has long been publicly known — and seemed not to hinder his political career — the reports that surfaced this week suggest that the episode was more serious than detailed in previous media accounts. The state and local police reports, published Thursday night by the Houston Chronicle and San Antonio Express-News, say that O’Rourke, who was 26 at the time, was driving drunk at what a witness called “a high rate of speed” in a 75 mph zone of an interstate when he lost control of his Volvo and hit a truck. The reports say the impact sent O’Rourke’s car across the center median, where it came to a complete stop. Then, according to a witness, O’Rourke “attempted to leave the scene,” the reports say. The police officer who responded was dispatched at 3 a.m.
O’Rourke blew a 0.136 and a 0.134 on police breathalyzers, above the legal limit of a 0.10 blood alcohol level at the time, according to the reports. He was arrested at the scene and charged with DWI but later completed a court-approved diversion program, and the charges were dismissed. O’Rourke, who served on the El Paso City Council before joining Congress in 2013, has contended that the September 1998 episode was an important learning experience. “Beto’s arrest is something he has long addressed, including when he ran for City Council and Congress,” O’Rourke spokesman Chris Evans said in an email to The Washington Post on Friday. The statement did not address the allegation that O’Rourke attempted to flee the scene. Cruz’s campaign did not immediately respond to a request for comment. A NBC News/Marist College poll released last week found O’Rourke trailing Cruz by just four percentage points in a state that President Trump won by nine points in his 2016 race against Democrat Hillary Clinton. In a sign that Republicans are not taking Cruz’s reelection for granted, Trump announced Friday that he would be doing “a major rally” for Cruz in October. The DWI incident rarely comes up during the town halls that O’Rourke has hosted across the state since launching his campaign. He frequently hosts “Beers with Beto” fundraisers and other events at breweries and pubs. 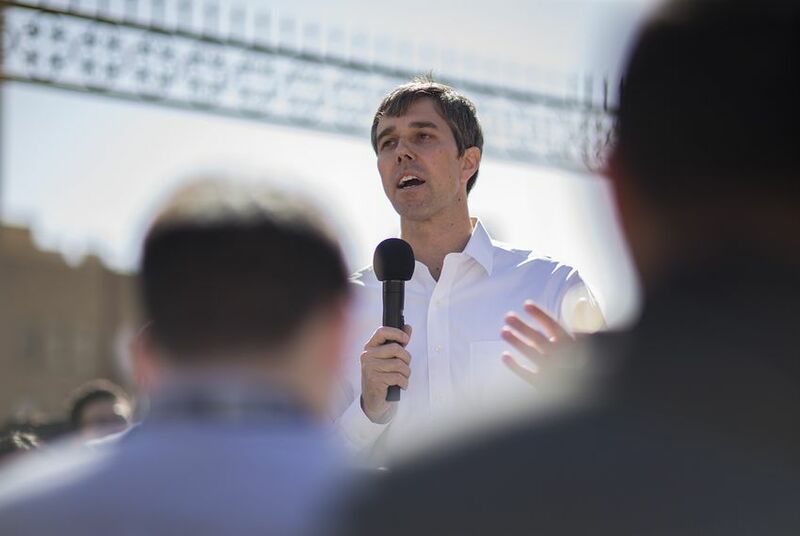 During one such event at the Six Car Pub and Brewery in Amarillo earlier this month, O’Rourke opened by urging those in the crowd not to drink and drive.